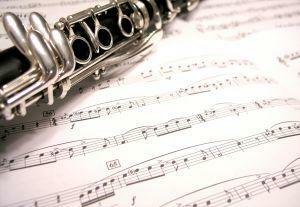 Want to teach clarinet lessons? Music teaching jobs can be ideal career choices for individuals who want to share their love of music with others. There are several different ways to approach starting a career as a music teacher. Many public and private schools hire music teachers. At the elementary school level, it's common for a school to have one teacher who provides music instruction to students in all grades. In some cases, several schools in the same system share a small number of teachers who travel from site to site each week to teach music. Music teachers who work with young children often provide all types of music training. They are typically responsible for teaching children about the musical scales, introducing them to the process of reading music, helping them learn to sing, and teaching them about different types of musical instruments. To work as an elementary school music teacher, you'll need to have a degree in early childhood or elementary education, with a specialization in music instruction. You'll also be required to hold a teaching certificate issued from the state in which you work. At the secondary school level, music teachers often teach music appreciation classes to the general student population. They also tend to be involved in teaching and directing the school's chorus and band activities. If the school's drama club stages musical productions, music teachers often participate in auditions, rehearsals, and directing along with the school's drama teacher. To work as a secondary school teacher, you'll need to earn a degree in secondary education, with a specialization in music instruction. You'll also be required to hold a state-specific teaching certificate in secondary music education. Even though musical education opportunities are available in many elementary and secondary school systems, such training is very limited. Youngsters who want to learn to play musical instruments typically must seek instruction from private music teachers. It's also not uncommon for adults to decide to learn to play one or more musical instruments. Many individuals who enjoy singing or who want to sing professionally seek training beyond what is available in schools from private voice teachers or coaches. These facts create a need for private music teachers. Many people who want to share their love of a particular musical instrument with other people decide to pursue private music teaching jobs. Those who provide private music lessons are typically self-employed. Some go into the homes of their students to provide training, while others have studios and schedule times for students to visit them for lessons. It isn't necessary to have a teaching certificate or degree in education to become a private music teacher. Instead, one simply has to have musical ability, patience, solid communication skills, and a willingness to share his or her knowledge with students. Some people pursue private music teaching as a full time occupation, while others provide music lessons as a part time sideline to performing or teaching careers. Arts organizations offer excellent career opportunities for those interested in teaching music professionally. Symphonies, operas, and other arts organizations tend to be very involved in music education. Such groups often hire individuals to head up their educational outreach functions. These individuals typically act as liaisons between the area schools and the organization. Their role involves a combination of education and public relations. They help children learn about different types of music, work with school teachers to identify those youngsters with exceptional musical abilities, and spread the word about their particular arts organizations. Job duties for an individual working in this capacity often involve visiting schools and community centers to speak, perform, and provide instruction. They are also usually involved in scheduling field trips and coordinating auditions for children who wish to join or perform with the organization. People who hold these types of jobs often perform with the particular organization they represent. It isn't necessary to have a degree in education or a teaching certificate to work for an arts organization in this capacity, although having such credentials can certainly be beneficial. Many people who work for arts organizations have degrees in music performance. Is a Music Teaching Career Right for You? You are the only one who can decide if a music teaching career is right for you. If you love music and want to share your appreciation with others, you might find that teaching music is an ideal career choice. If you're unsure, consider enrolling in a music education course at your local college. Sometimes the process of starting to train for a different career can help you make up your mind about what you want to do. You might also want to volunteer to assist with the educational outreach program of your favorite arts organization.